STEP #1: Make a commitment to yourself to get your carpets cleaned. The longer they remain dirty, the sooner they’ll wear out. Plus the longer you have to breathe all the pollens, fungus, and chemicals that hide in your carpet. STEP #2: List your objectives. Do you want only the dirt removed, or do you want all the bacteria, fungus, and chemicals removed. STEP #3: Ask questions. The way you learn about a company is to ask specific questions and listen carefully to the answers. What method of cleaning do you recommend? Are you certified by the IICRC and can I see your certificate? Do you have a 100% no-risk money back guarantee? If you want your carpeting to be completely and healthfully cleaned – removing the bacteria, fungus, chemicals, pollens, and tobacco products – then we invite you to call TLC TLC Carpet Care. We’ll be happy to answer your questions – provide you with a ballpark cost estimate over the telephone – or come into your home and give you a free written quotation – without cost or obligation of any kind. 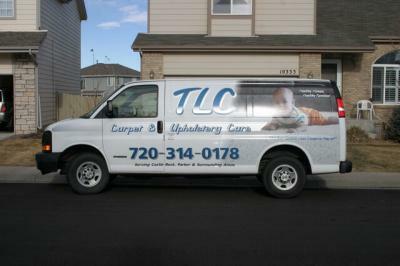 Call TLC Carpet Care today at 720.314.0178 for your FREE Carpet Evaluation.